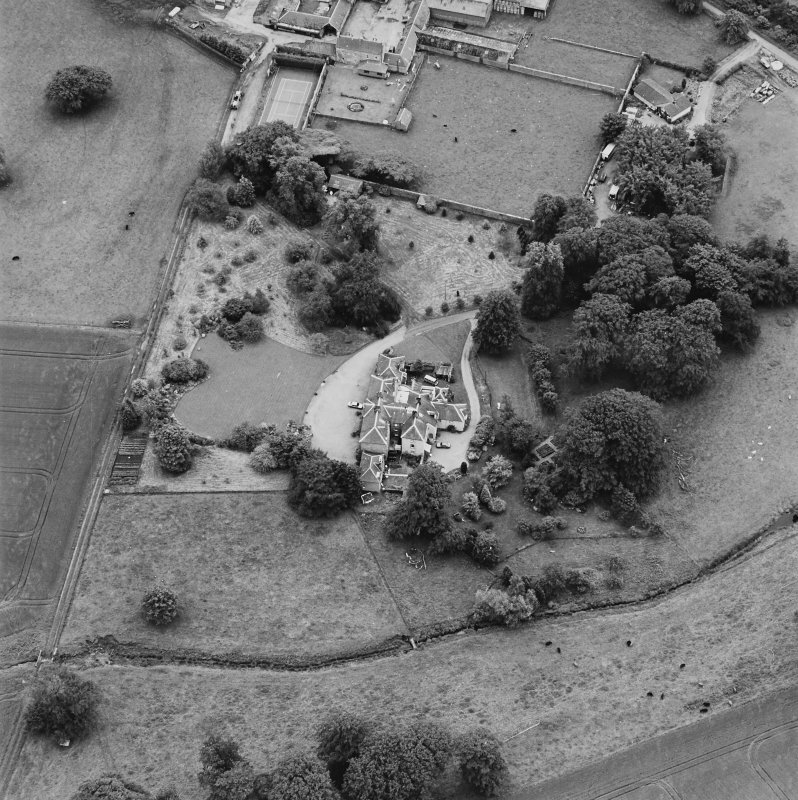 Oblique aerial photograph of Lathrisk House centred on a country house. 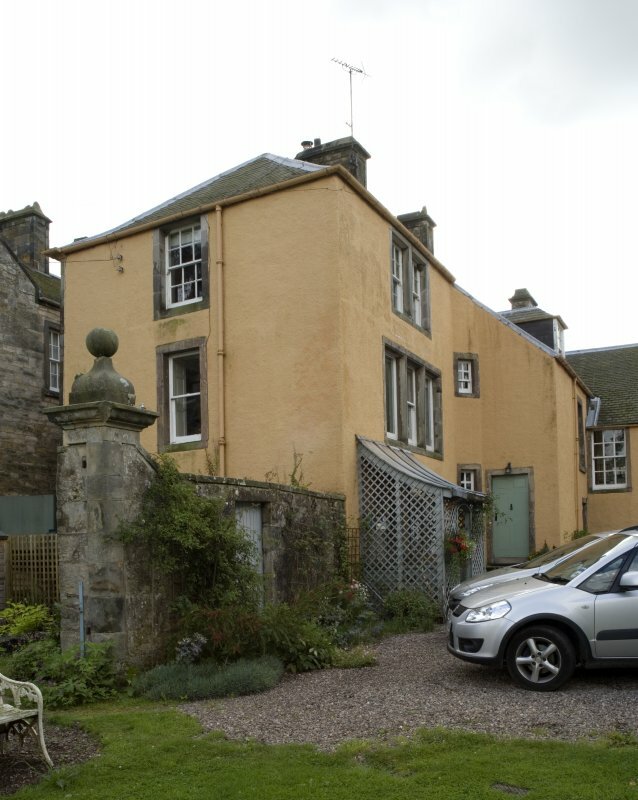 Lathrisk Laundry house is situated to W, in the top centre of the photograph. 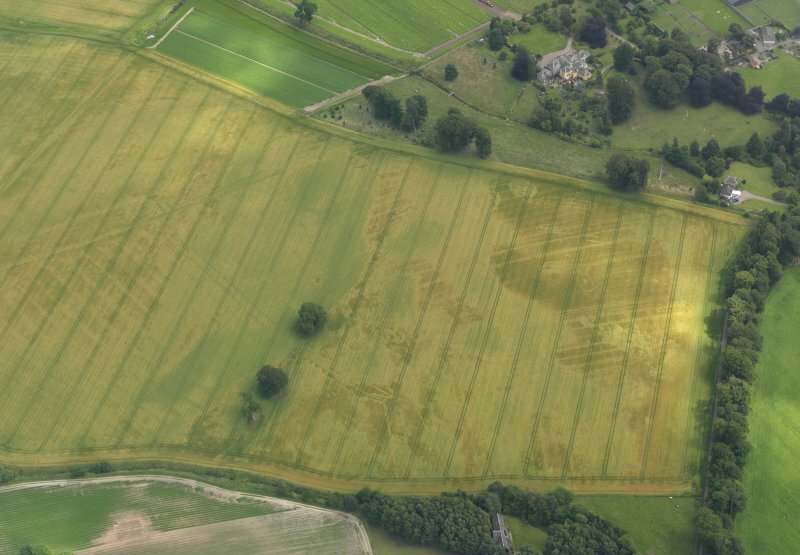 Taken from the E.
Oblique aerial view of the cropmarks of the buildings and rig and furrow with Lathrisk House adjacent, taken from the NNW. 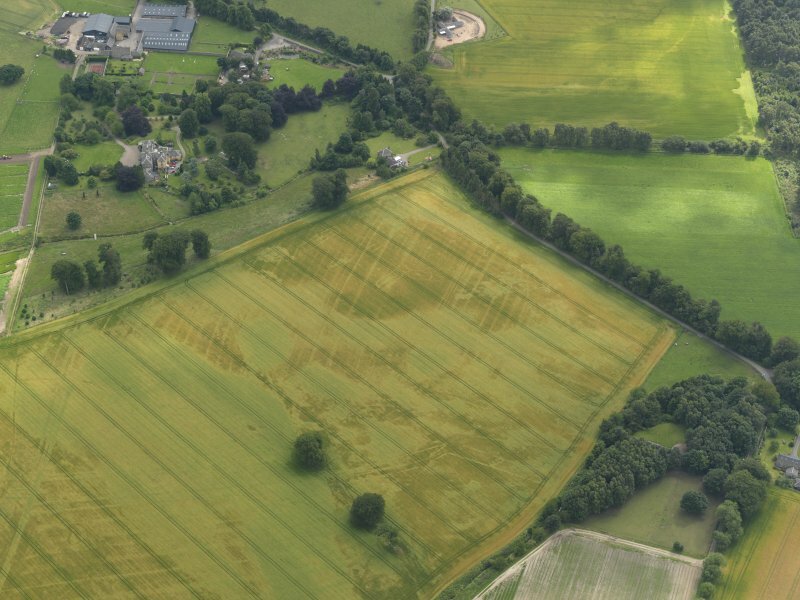 Oblique aerial view centred on the cropmarks of rig and possible timber halls with rectiliear enclosure, field boundaries, ice house, farmsteading, house and country house adjacent, taken from the ESE. 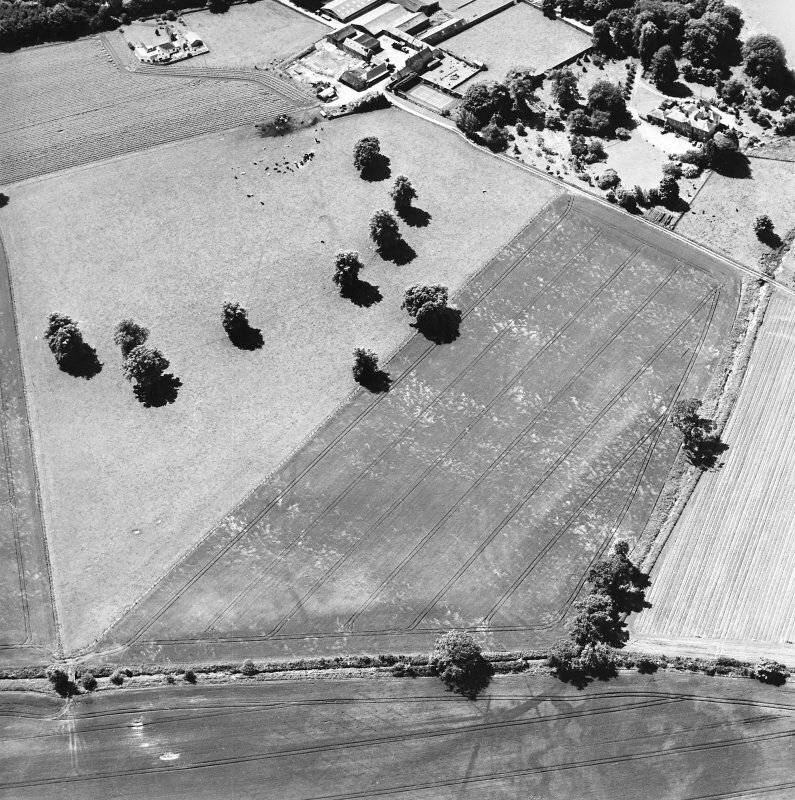 Oblique aerial view centred on the cropmarks of rig and possible timber halls with ice-house, house and country house adjacent, taken from the ENE. 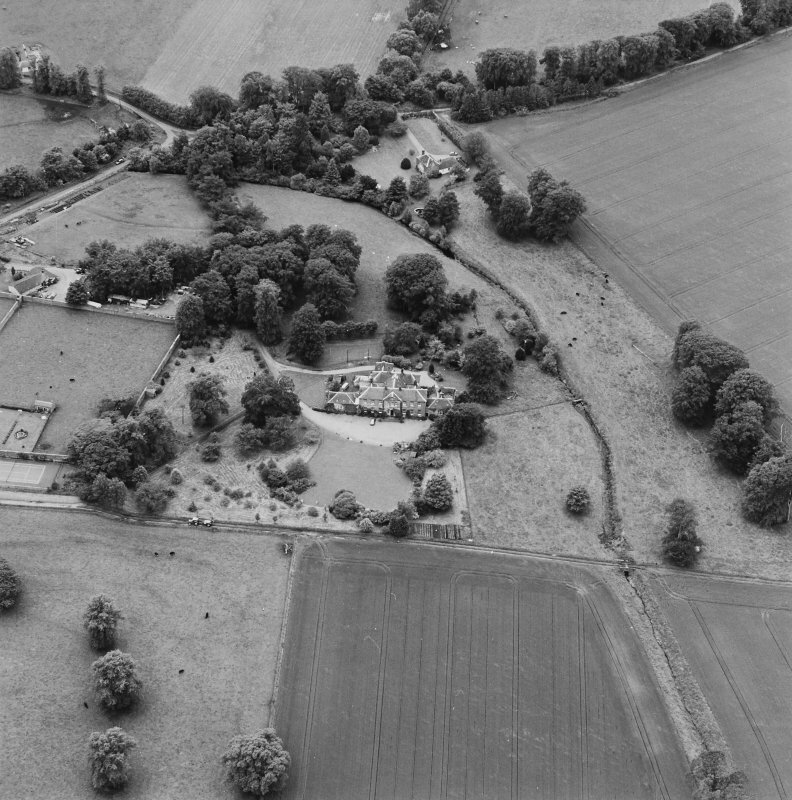 Oblique aerial photograph of Lathrisk House centred on a country house. 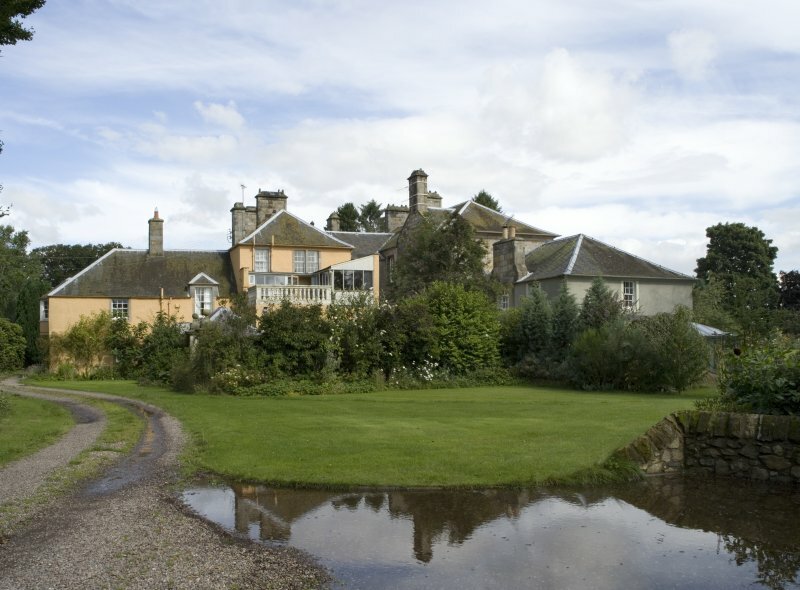 Lathrisk Home Farm is situated to the S, in the top centre of the photograph. 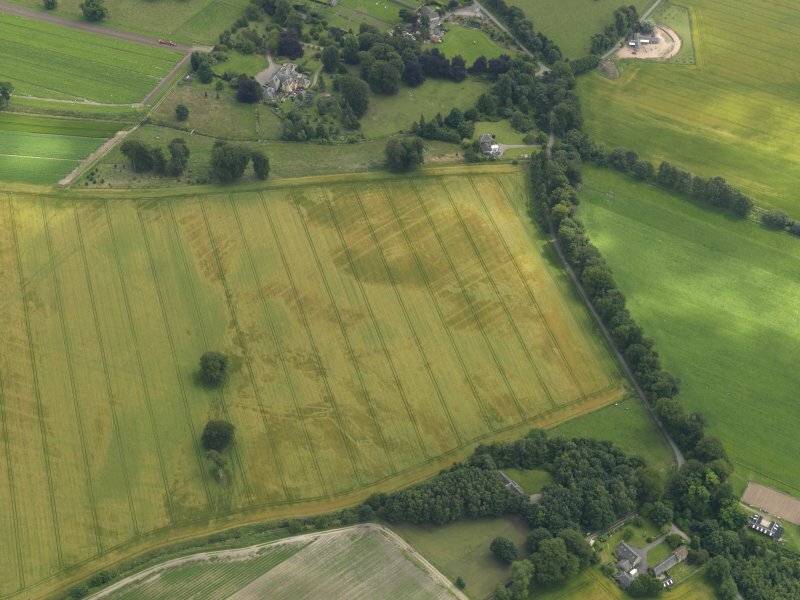 Taken from the N.
Oblique aerial view centred on the cropmarks of rig and possible timber halls with rectiliear enclosure, field boundaries, ice house, farmsteading, house and country house adjacent, taken from the SSE. 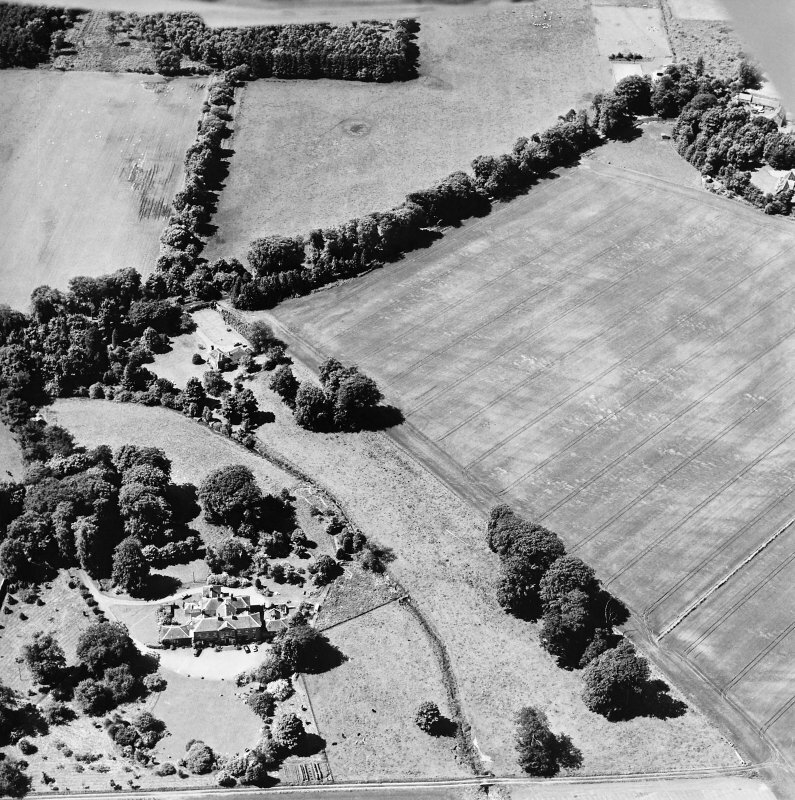 Oblique aerial photograph of Lathrisk House centred on a country house. 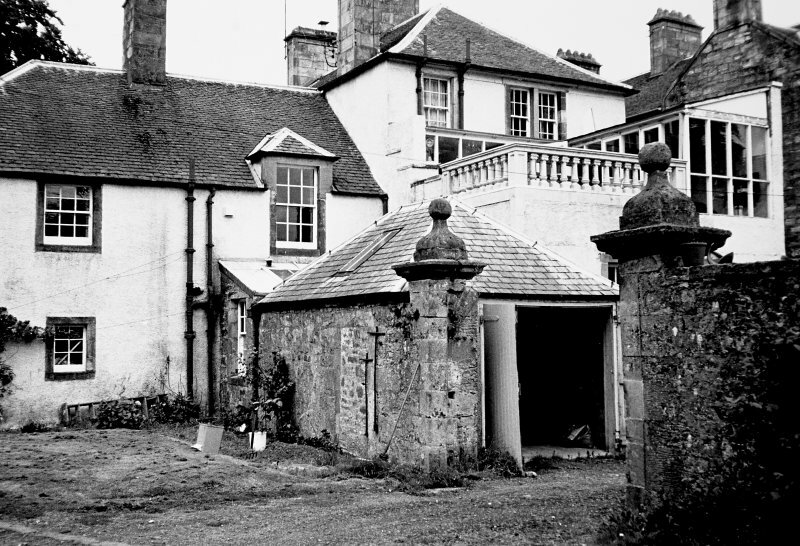 Lathrisk Laundry house is situated to the N, in the top right of the photograph. 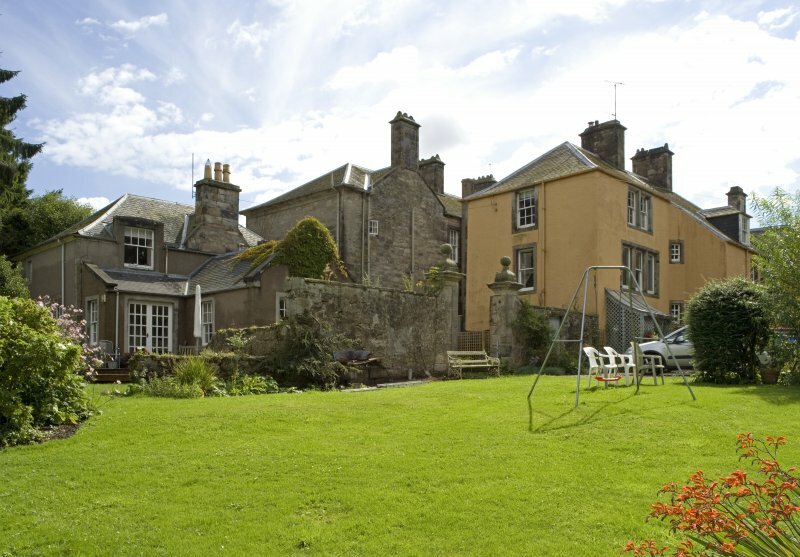 Taken from the NE. 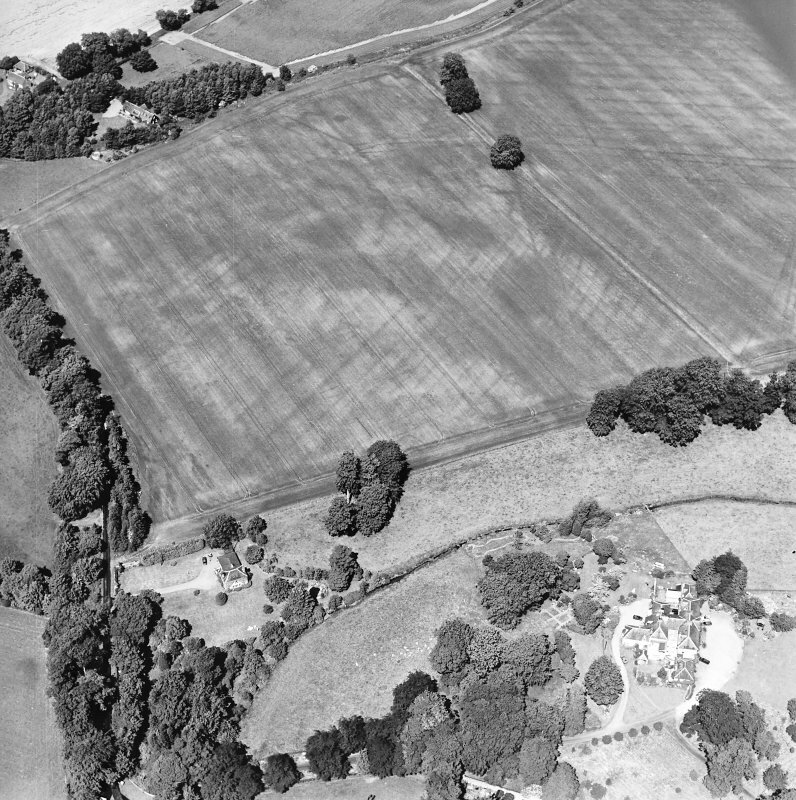 Oblique aerial view of the cropmarks of the buildings and rig and furrow with Lathrisk House adjacent, taken from the NW. 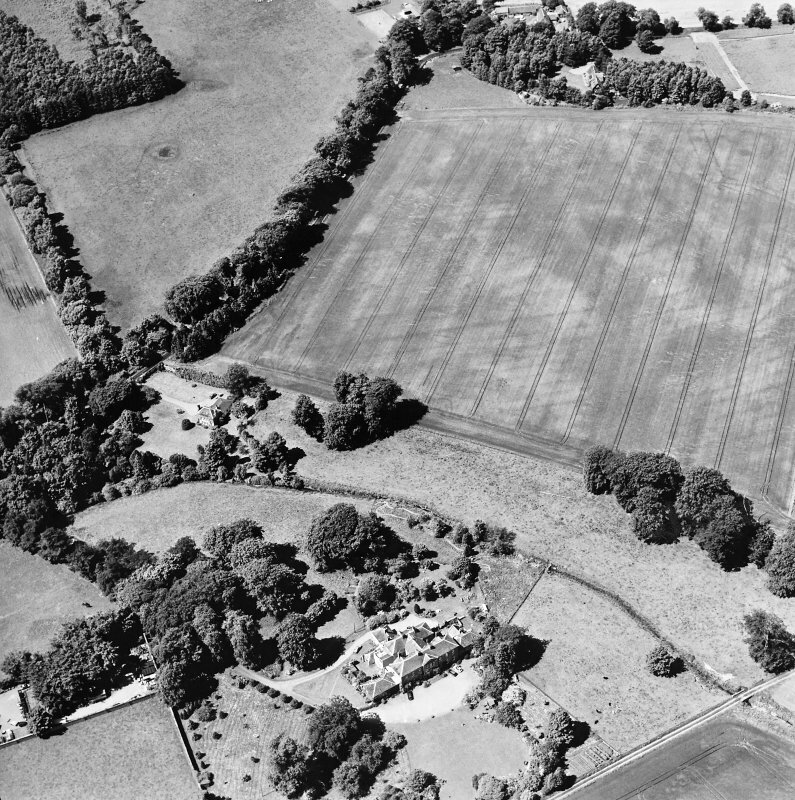 Oblique aerial view of the cropmarks of the buildings and rig and furrow with Lathrisk House adjacent, taken from the N.
Oblique aerial view centred on linear cropmarks with country house, farmhouse and cottage adjacent, taken from the NE. 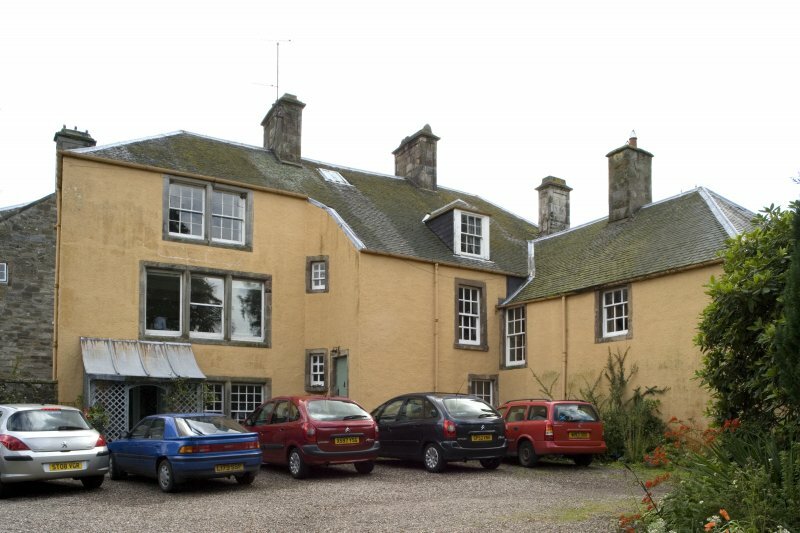 The west wing of Lathrisk House now known as Old Lathrisk House is now self contained and contains the earliest parts of the house. 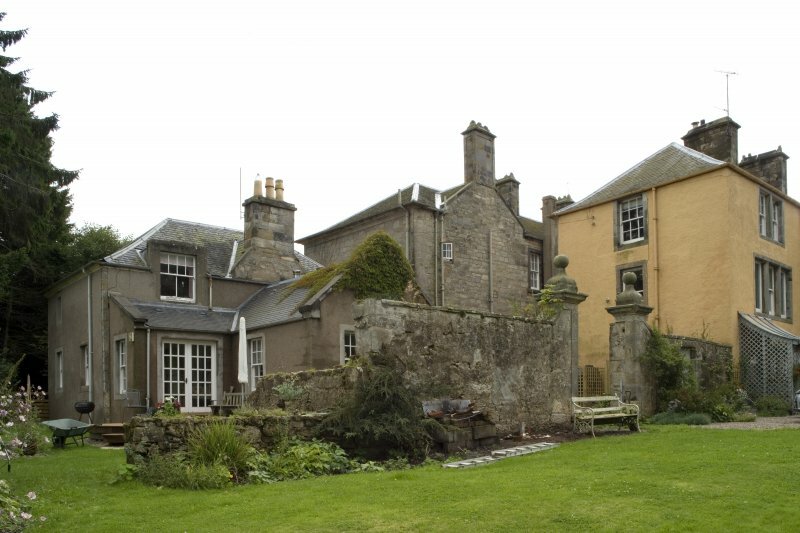 The vaulted rooms on the ground floor are the oldest part of the present building which maybe 17th century. 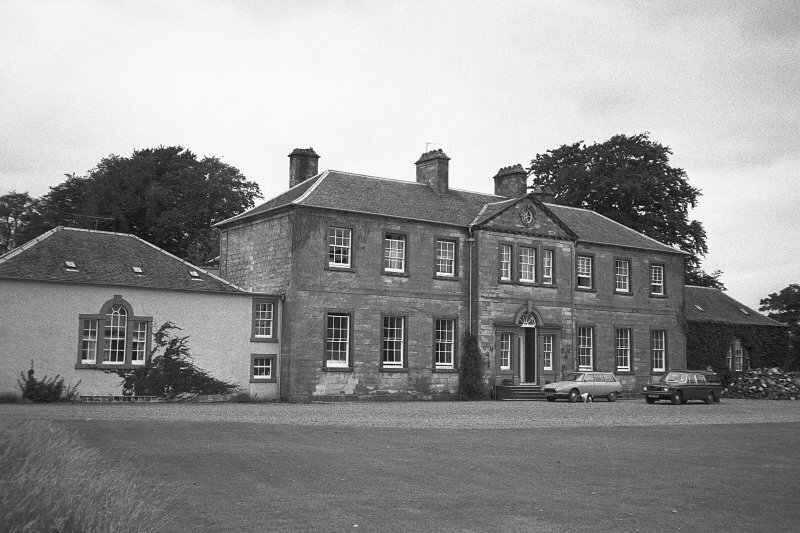 The house was greatly extended to the east when a new front, now a separate house, was added in c.1785. 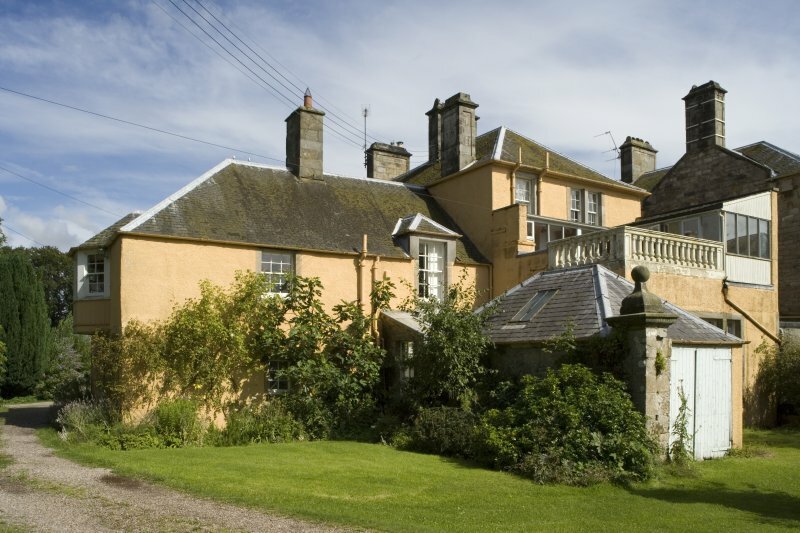 The interior of the earlier house was probably remodelled at this time and has undergone various further alterations. 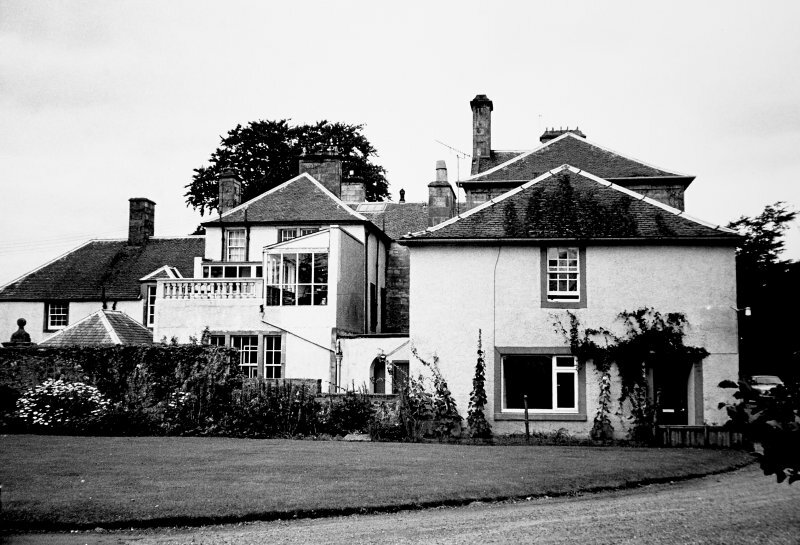 In the late 19th or ealy 20th century the present drawing room, dining room and billiard room appear to have taken on their current form. 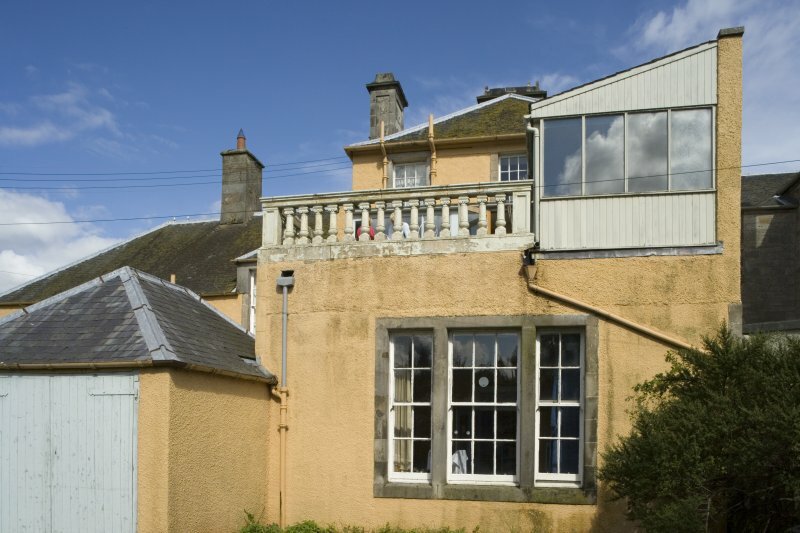 Lathrisk House, a mansion, has been greatly modernised, the only features of interest remaining being two parallel vaulted chambers on the ground floor. 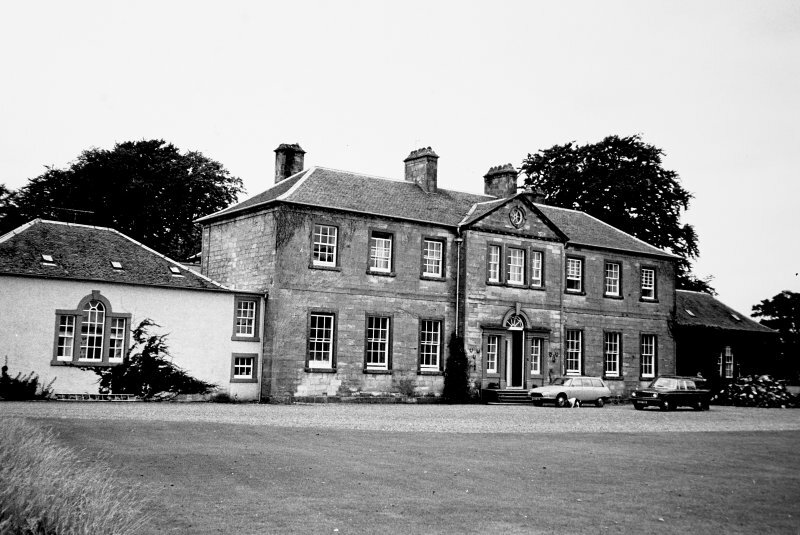 Sibbald refers to its existence in 1710. 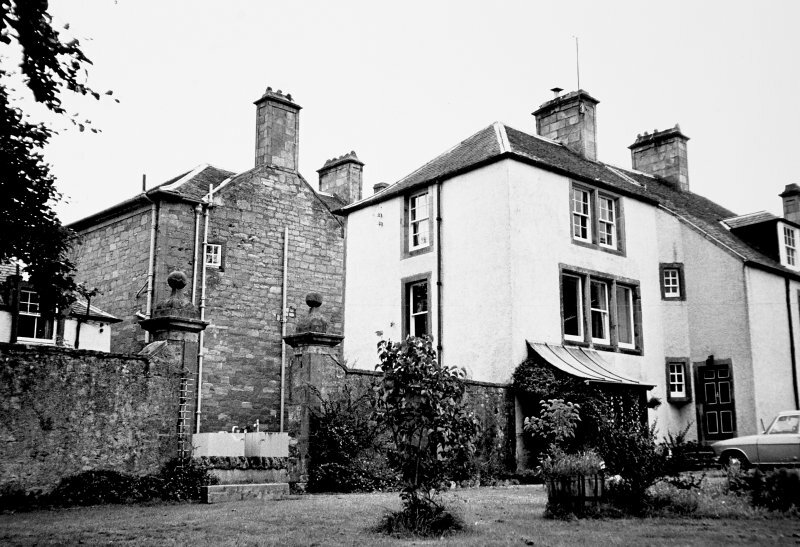 R Sibbald 1803; RCAHMS 1933. 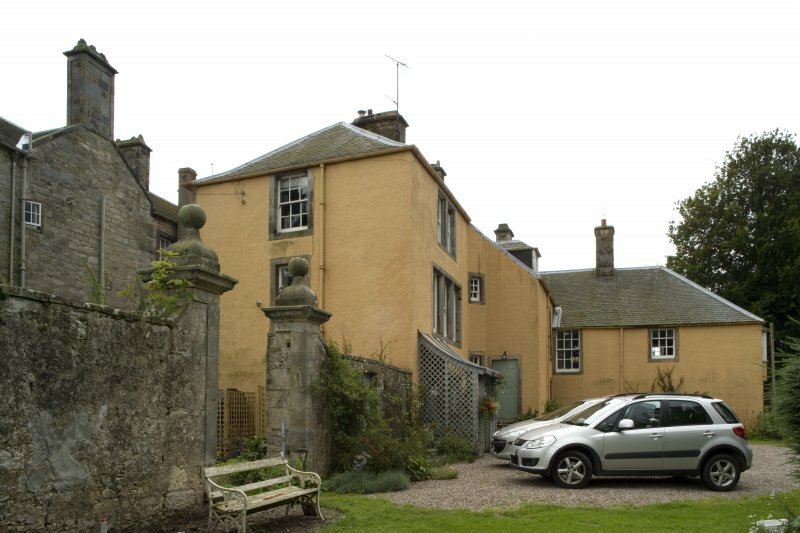 Lathrisk House is reputed to date from the 16th century, the older parts consisting of three adjoining barrel vaults, with walls 5ft thick. 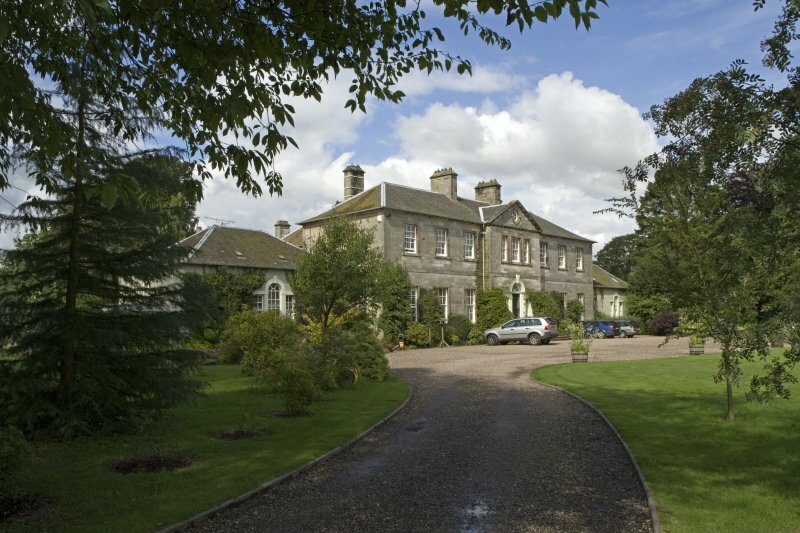 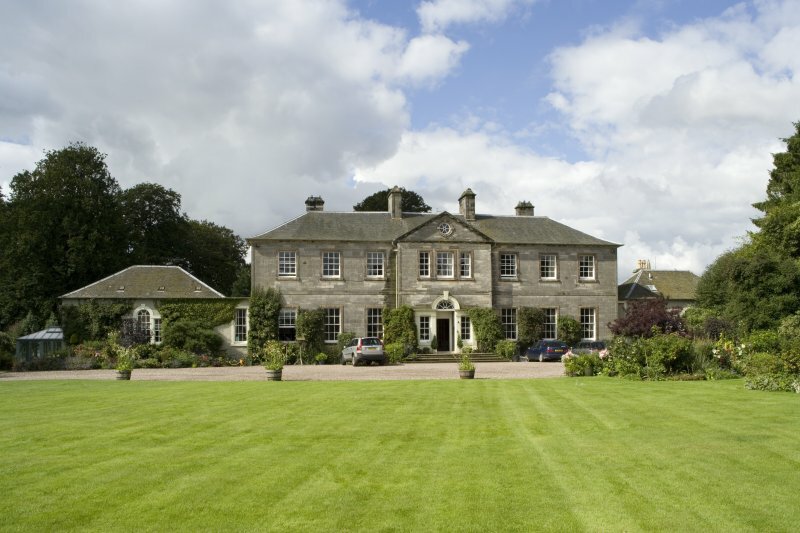 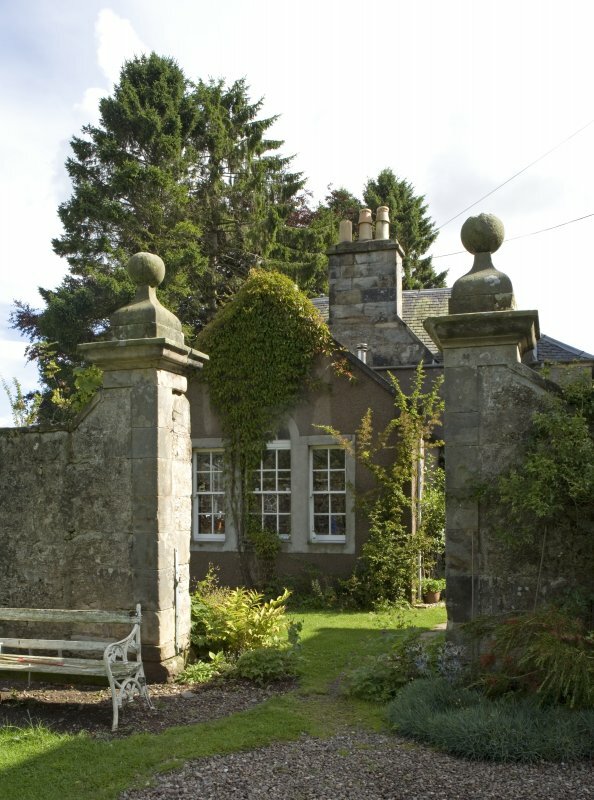 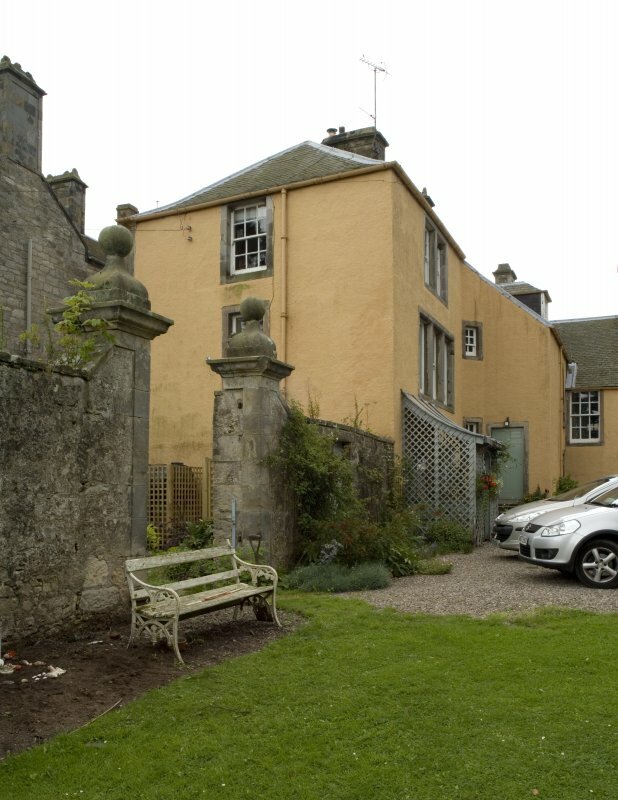 The front wing was added in 1783 (M L Pattullo, owner, Lathrisk House). 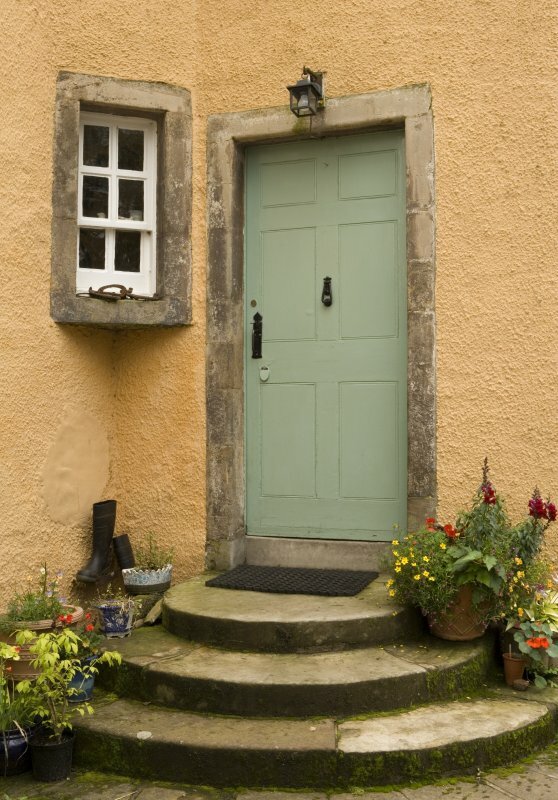 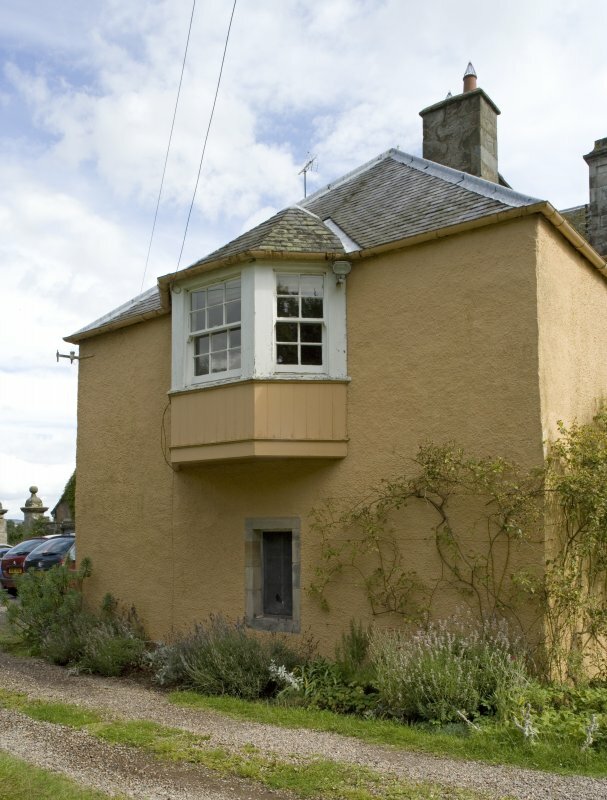 The exterior has been harled and presents no obvious datable architectural features. 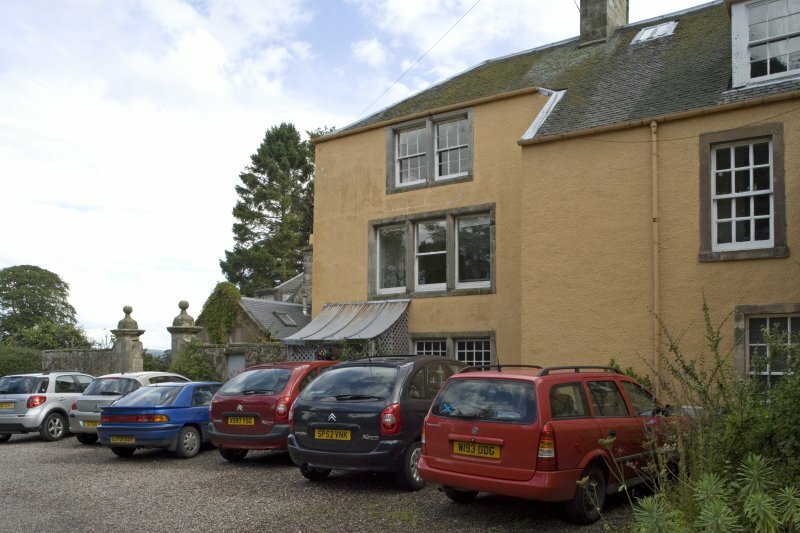 The vaults are as described by OS (DS). 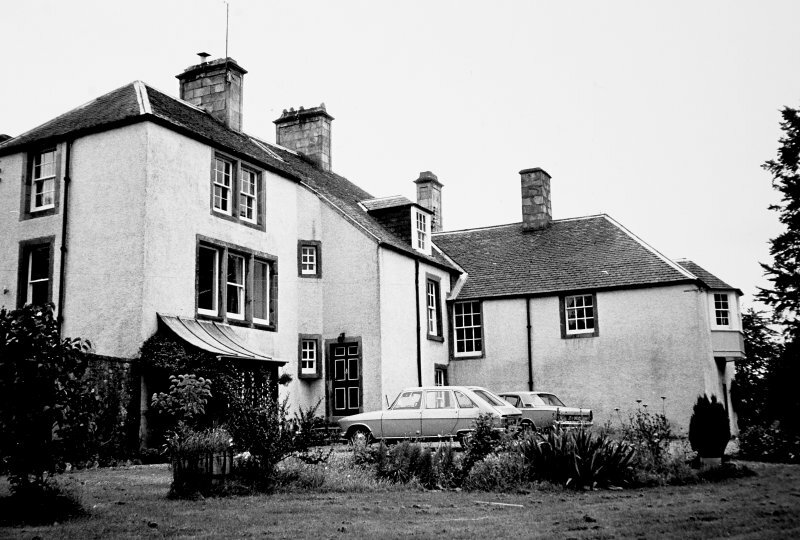 Visited by OS (WDJ) 21 March 1967. 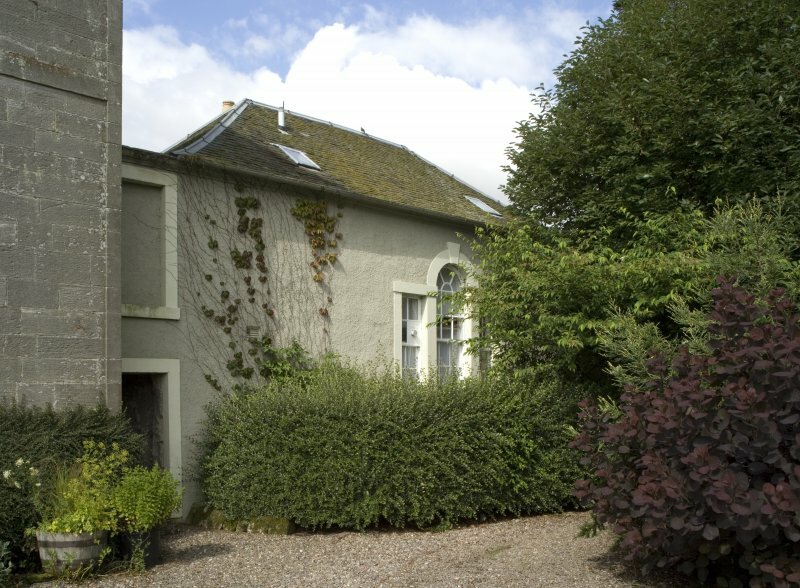 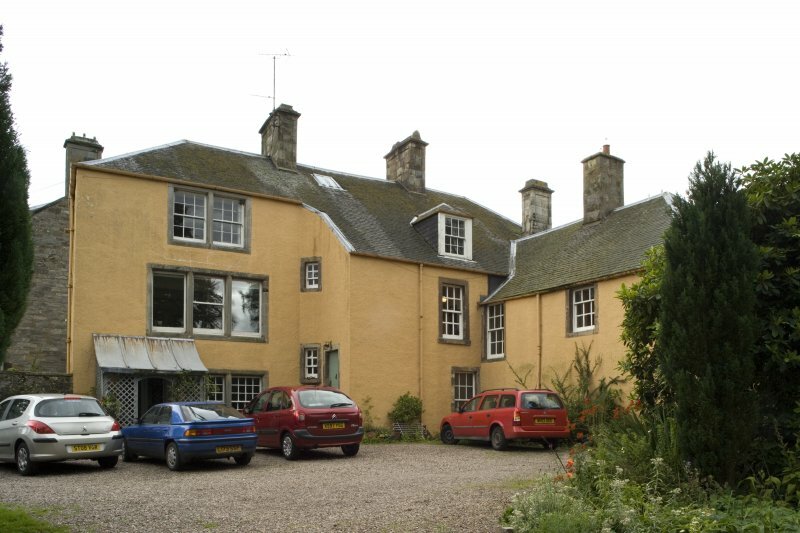 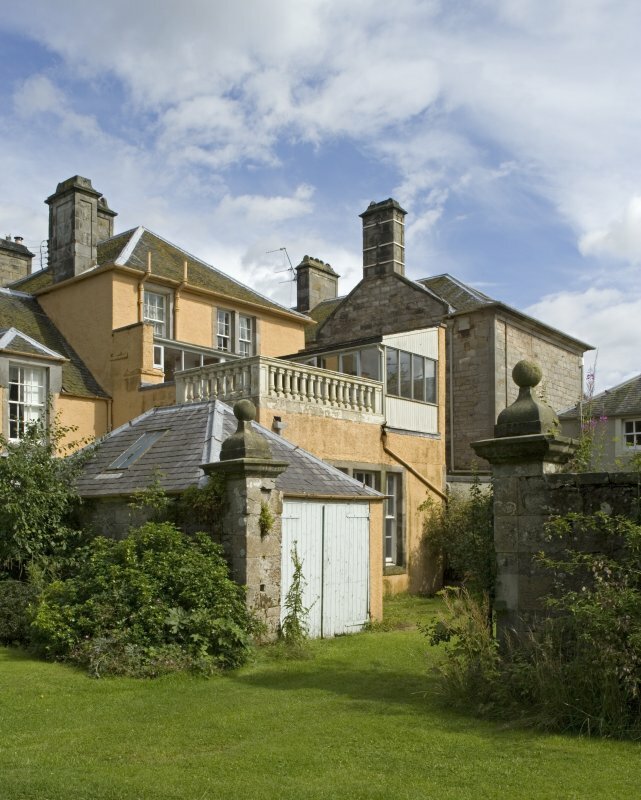 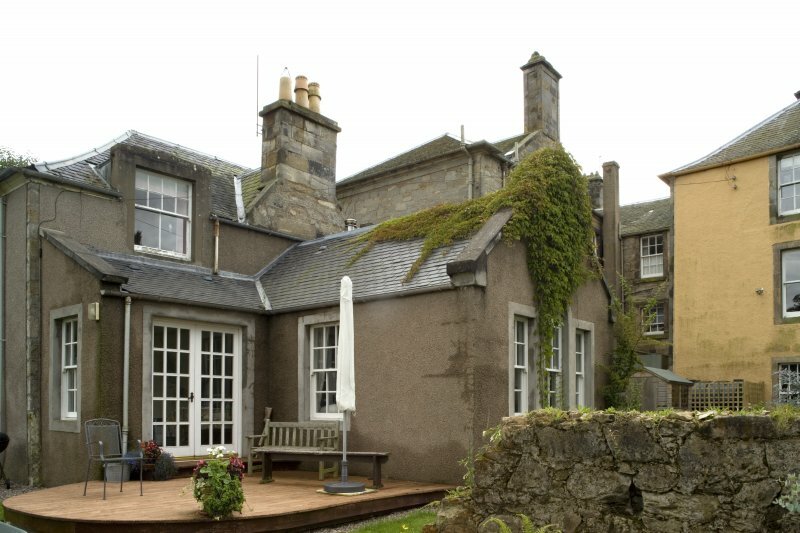 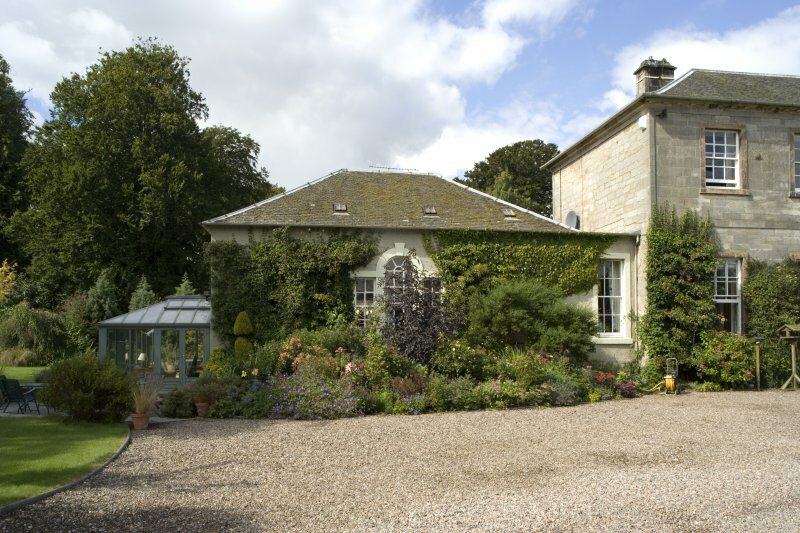 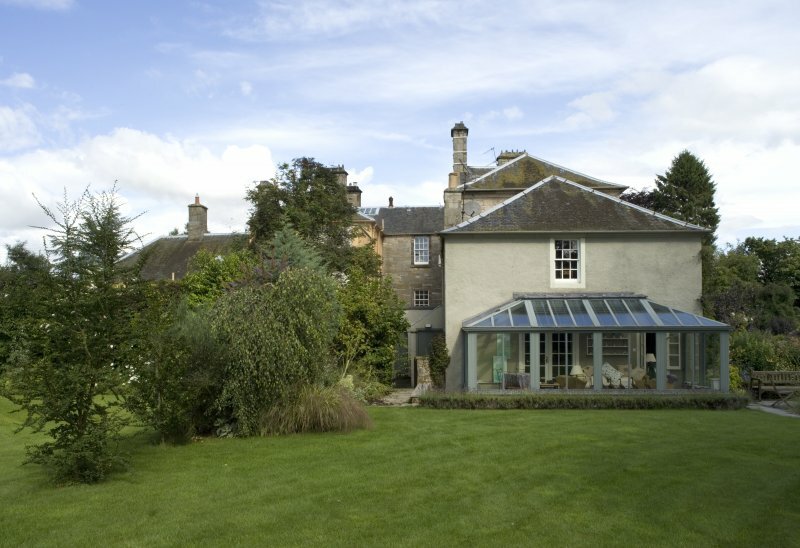 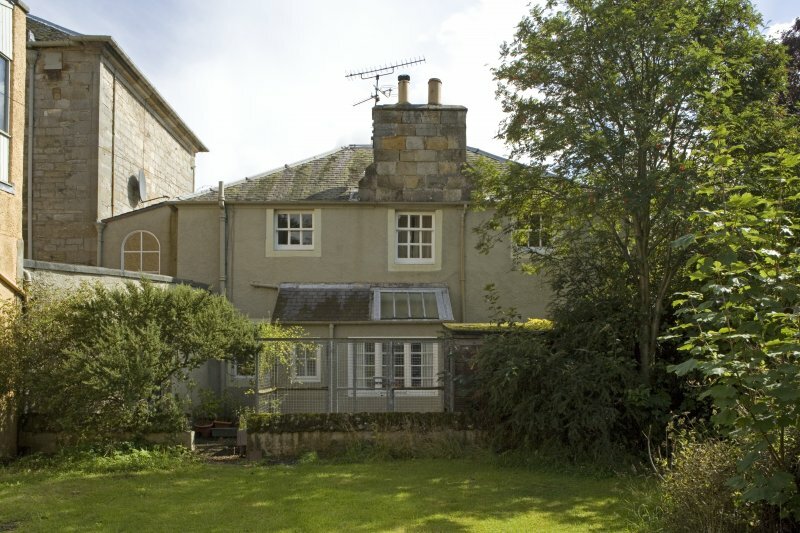 The exterior and rear (west) wing of Lathrisk House was recorded by the Threatened Buildings Survey prior to proposed internal and external alterations in response to a notice to record from Robin Evetts of Historic Scotland.